Tyson Timbs has been fighting to get his Land Rover back since police seized it in 2013 (Steve Burns, WFIU/WTIU News). An Indiana law allows police to seize thousands of dollars worth of property if they think it’s involved in a suspected crime – regardless of whether the person who owns it is ever convicted. The country’s highest court is set to hear a challenge to one aspect of that civil forfeiture law later this year. A Marion resident named Tyson Timbs claims police violated the Eight Amendment’s excessive fines clause when they seized his vehicle – worth more than $40,000 – because he used it to transport a few hundred dollars worth of drugs. The case will go before the U.S. Supreme Court this fall. And while it started as an attempt to get his vehicle back, Timbs says it’s now about something bigger. Timbs bought the Land Rover using life insurance money following his father's death (Courtesy of The Institute For Justice). When Tyson Timbs moved to Marion, Ind. a few years ago, he hoped it would be a fresh start. He'd been living in Ohio and struggling with an opioid addiction for years. When his Aunt Wendy got sick, he decided to move to Indiana to help. "I actually thought, 'Hey, maybe this is going to be the cure to all my problems,'" Timbs says. "Unfortunately I came with me. So, you know, you can't run from yourself." Marion is a small town, and Timbs soon learned who to go to in order to find the drugs he needed to function. He eventually turned to heroin, using some life insurance money from his father's death to cover the costs of his habit. Timbs also used more than $42,000 from the payout to buy a Land Rover. Court documents say he drove the car to Richmond to buy heroin. And, at least twice, he sold heroin. The buyers were informants and an undercover detective. Court documents say Timbs sold a total of just more than $500 worth of heroin to them. Police arrested Timbs and took his Land Rover. A couple months after filing felony charges against Timbs, the state started a civil forfeiture case in an attempt to keep Timbs' vehicle. "I was angry for a while," he says. "To be honest, that probably got me through a long time was anger and hatred. I hated the police for whaty they did to me and I was going to show them." Criminal proceedings and civil forfeitures are handled separately, in two different types of courts. While Timbs pleaded guilty to one of the drug deals, he fought the forfeiture. When Timbs decided to try and get his Land Rover back, he joked about not stopping until it ended up at the U.S. Supreme Court. He didn't think that would become reality. He doesn't think police should be able to take a car worth tens of thousands of dollars for a low level drug offense. His attorney says that violates the Constitution. The trial court ruled in Timbs' favor, saying the vehicle was worth more than four times the maximum penalty he could face in criminal court. And, the Indiana Court of Appeals also sided with Timbs. The ruling says the seizure was disproportionate to the gravity of the crime. But, the Indiana Supreme Court took a different stance. "The Indiana Supreme Court took the state’s appeal and decided, to everyone’s surprise, that the excessive fines clause of the U.S. Constitution does not apply in this state, meaning the state could take Tyson’s vehicle," says Wesley Hottot, an attorney with the Institute for Justice who's representing Timbs. 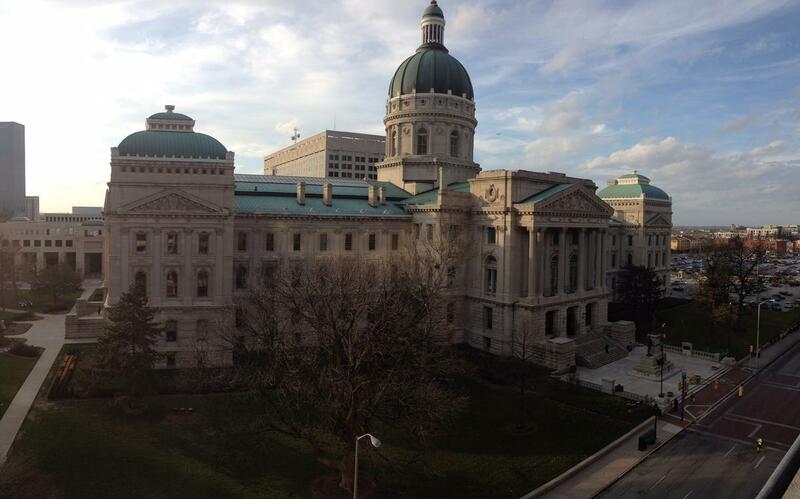 "And meaning, in fact, that the state could take any Hoosier’s property for even a minor crime." 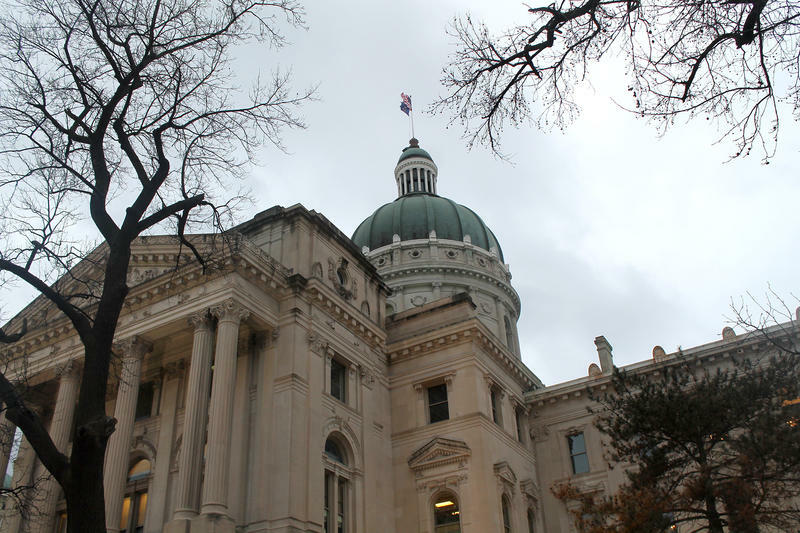 In its ruling, the Indiana Supreme Court says the U.S. Supreme Court has never enforced the excessive fines clause against the states. Now the U.S. Supreme Court will have to decide whether it should when it hears Timbs' case this fall. "This case is about more than just Tyson’s vehicle," Hottot says. "This case is about whether 330 million Americans enjoy the protections of the U.S. Constitution." Among the briefs filed in support of Timbs' case is one from the U.S. Chamber of Commerce. In it, the Chamber writes "excessive fines arising under federal law, the lack of a uniform, similar constraint on the governments in the 50 states is needlessly driving up costs for businesses, increasing prices for consumer goods and services, and undermining economic growth." The Chamber says prosecutors across the country are also targeting businesses similarly to Timbs. "Newspapers and legal literature from the 1980s forward are replete with examples of large fines being handed out for even the smallest of violations – at great cost to businesses and their customers – all because decision-makers have been persuaded to invoke the 'deep pockets' theory of corporate exposure," the brief states. 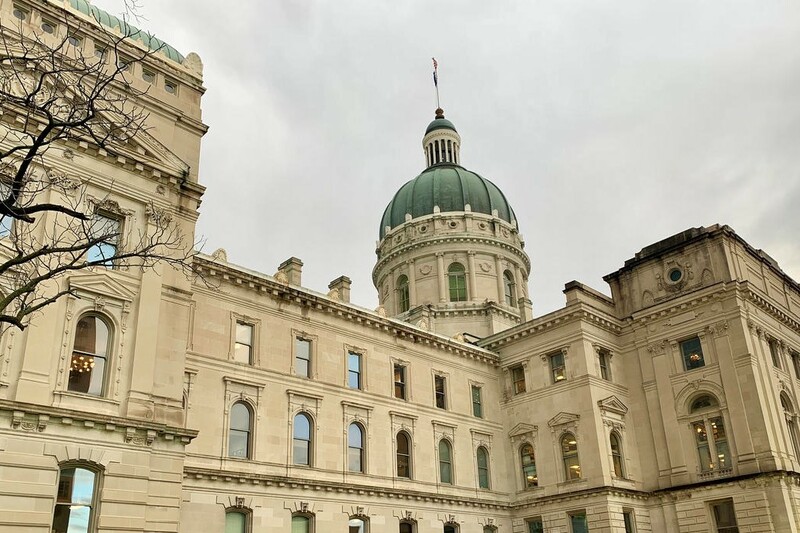 Legislation passed earlier this year establishes a reporting requirement so the Indiana Prosecuting Attorneys Council can better track civil forfeiture activities (Steve Burns, WFIU/WTIU News). Few civil forfeiture cases make it to the U.S. Supreme Court, or are challenged in the first place. It's hard to put an exact number on how many cases go undisputed because, until this year, the state didn't have a reporting requirement for forfeitures. When we requested data from the Indianapolis Metropolitan Police Department for all of its seizures in 2017 through Indiana's Access To Public Records Act, the agency responded by saying it didn't have the ability to run a report for that information. IMPD says the information about what was seized and what happened to the property is kept on two different databases. So, we requested information about the department's five largest seizures from 2015. They were all related to suspected drug dealing. Police seized more than $190,000 and two vehicles between the five cases. Both vehicles were returned before the cases were screened. One of the forfeitures is still pending because the criminal case hasn't gone to trial. In another case, the state returned the total amount of $45,125 about nine months after the forfeiture proceedings started. The criminal proceedings related to that forfeiture ended with charges being dismissed because a search warrant was deemed insufficient. And in a case where police seized more than $46,000 from someone accused of dealing marijuana and hashish, just more than $32,000 was returned to the defendant. The remaining money went to law enforcement. In the related criminal case, the defendant pleaded guilty to one charge of dealing hasish oil as part of a sentencing agreement. While the defendants in some of those instances did challenge the seizures, experts say that's not the norm. Studies show minorities and low income people are disproportionately affected by civil forfeiture, and few of them have the resources to fight the cases. "If you seize $1,000 but it costs you $3,000 to get it back, nobody in their right mind is going to fight," says Louis Rulli, a practice professor of law at the University of Pennsylvania Law School and civil forfeiture expert. "They’re going to give up." And that’s not the only barrier for Hoosiers who want their property back. The seizures are handled separately from criminal proceedings in civil court. That means there’s no right to an appointed attorney if a defendant can’t afford one. "And that’s a very troubling notion that people are losing their property not because they are guilty of some illegal activity, but because it’s either too costly or too difficult, too complex, too time consuming to fight back," Rulli says. Hearing those kinds of stories is what motivates Timbs to continue his fight. "It’s not about getting my truck back," he says. "That hasn’t been the case for me for a long time. For me, this is principle. They shouldn’t be able to do this to people." In the years since police took his car, Timbs says he’s made a lot of changes. He’s now clean and even speaks to local and state task forces about his battle with addiction and the criminal justice system. And, he has a job. But he has to borrow his Aunt Wendy’s car to get there while she takes a bus to dialysis. "We don’t all have an Aunt Wendy, so there’s a lot of people who are stuck," he says. It’s those people Timbs says he’ll be thinking of as the Supreme Court hears his case. Timbs' case is one of several challenges to Indiana's civil forfeiture laws. Next week, we'll take a look at where the money goes when police seize and sell property.